Decorating With Sheets: A PSA From LAF: PB Residents Beware! 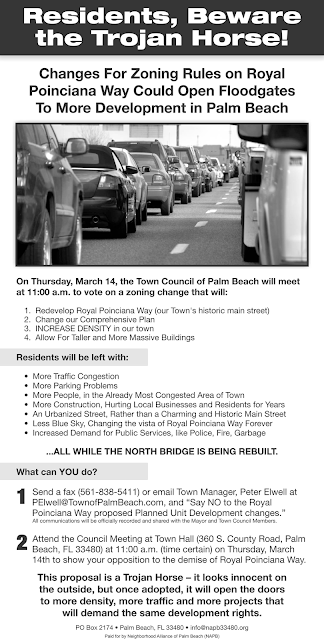 I don't usually get political here on the blog, but today I want to share with you this ad from the Neighborhood Alliance of Palm Beach about a very important issue that is coming before the Town Council this week on March 14 . Please read it carefully and make your voice heard. Leta, great civic service! I pray that this will be overturned. Will fax a big "No" to Peter Elwell today.